© 2018 Umayal B, et al. This is an open-access article distributed under the terms of the Creative Commons Attribution License, which permits unrestricted use, distribution, and reproduction in any medium, provided the original author and source are credited. Polycystic Ovary Syndrome (PCOS) is a common endocrine disorder, present in 5-13% women of reproductive age. The endocrine manifestations of PCOS include excess androgen production of ovarian and/or adrenal origin and arrested follicular development leading to chronic oligo- or anovulation. Long term health risks of women with PCOS include cardiovascular disease, type 2 diabetes mellitus and endometrial cancer. PCOS is diagnosed by chronic anovulation, polycystic ovaries on ultrasound and biochemical/clinical manifestations of hyperandrogenism. Phenotype expression is heterogeneous and varies throughout the woman's life cycle, making early confirmation difficult. South Asians with anovulatory PCOS manifest severe symptoms at a younger age, with greater insulin resistance and a higher prevalence of the metabolic syndrome than white Europeans, thereby reflecting their ethnic propensity to type 2 diabetes mellitus. PCOS appears to be a multigenic trait, although contributing genes remain undefined yet. Several studies have been carried out to identify the candidate genes and polymorphisms affecting the multiple biological pathways of PCOS. 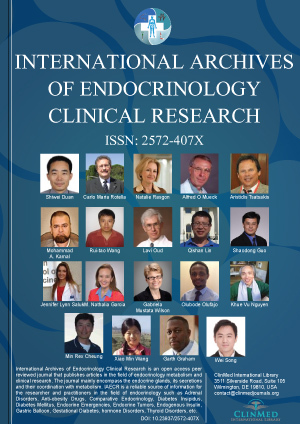 The main objective of this article is to review the role of genes regulating the Hypothalamus-Pituitary-Gonadal (HPG) axis - mainly KISS1, GPR54 receptor gene, GnRH (Gonotropin Releasing Hormone), GnRHR (Gonotropin Releasing Hormone Receptor), FSH (Follicle Stimulating Hormone), FSHR (Follicle Stimulating Hormone Receptor), LHβ (Luteinizing Hormone beta subunit) and LHCGR (Luteinizing Hormone/Choriogonadotropin receptor) genes; with special focus on its association with PCOS.